Chelsea plays Slavia Praha in the quarter-finals with the first leg in the Czech Republic and contrary to the common public perception, the two legs are bound to be challenging for the Blues. Slavia Praha have been slaying fancied teams like Sevilla and Bordeaux to reach the stage they have. 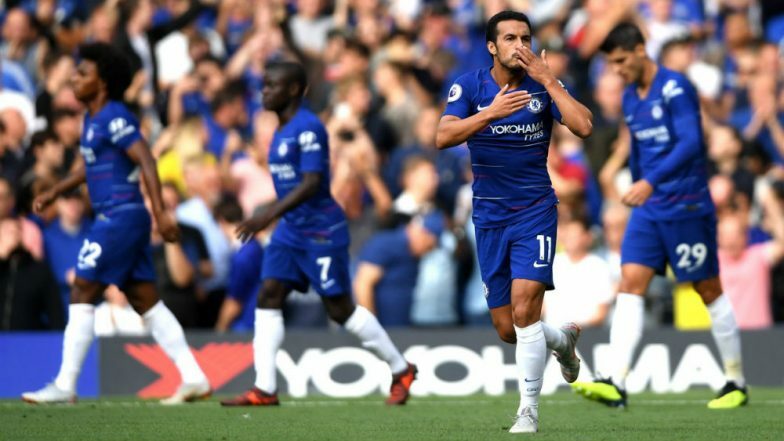 Chelsea have also stabilised their faltering ship in the past few weeks and risen to third in the English Premier League. Playing an away game in Europe is never easy and hence Maurizio Sarri must have trained his men to adapt to a certain style for this crucial game. Live Football Scores. Midfield maestro Tomas Soucek is suspended for the home team and his place in the eleven should be taken up by Josef Husbauer. Lining up alongside will be Alex Kral who may be asked to man-mark Eden Hazard throughout the game. Miroslav Stoch and Milan Skoda are the strikers for Slavia Praha ready to capitalise on any space left behind by the Londoner’s defence. The hosts are likely to deploy a 3-5-2 formation that’s often needed to stifle their opponent’s midfield. Full Football Coverage. Eden Hazard may very well be playing in his last season with Chelsea and the Belgian skipper looks determined to end it on a high. He single-handedly destroyed the West Ham defence in Chelsea’s last game. Hazard may be called upon off the bench depending on the situation given Willian is bound to start this tie. Ross Barkley is another player that has become indispensable to Chelsea’ cause which has led to Matteo Kovacic losing significance. In defence Andreas Christensen should come in for David Luiz as we have seen in the past. Chelsea may find it tough but have enough quality to not only get an away goal but could very well win the match on enemy territory. Slavia Praha vs Chelsea, UEFA Europa League 2018-19 Football Match Schedule (Date, Time and Venue Details)? It is going to be another late night match for football fans in India as Slavia Praha face Chelsea on April 11, 2019, at 12:30 a.m IST (Thursday midnight). Slavia Praha vs Chelsea football match will be held at the Sinobo Stadium. How to Watch Live Telecast of Slavia Praha vs Chelsea, UEFA Europa League 2018-19 Football Match? The quarterfinal contest between Slavia Praha and Chelsea makes an exciting contest in UEFA Europa League. The live telecast of Slavia Praha vs Chelsea will be done on Sony Ten 2 and Sony Ten 2 HD channels. With Sony Sports Network as the official broadcaster, their digital platform Sony Liv will be providing the free video streaming. You can catch Slavia Praha vs Chelsea, UEFA Europa League with free live streaming online on Sony Liv.